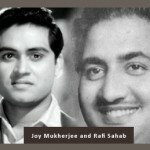 Veteran actor Joy Mukherjee died on 9th March, 2012. He was the son of noted filmmaker Sasadhar Mukherjee and Sati Debi. Sasadhar Mukherjee was the co-founder of Filmalaya Studios. While I was driving back from work, and for some strange reason, only one song kept coming back to me. It was “ Na muh chhupa ke jiyo aur na sar jhukaake jiyo”. Little did I know at that time that music director Ravi was already gone. It has been a bad week for all of us. 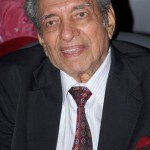 First we received news of music director Ravi Saab passing away. For me personally, the hanging up of his cricketing boots by Rahul Dravid was equally heart-wrenching and tragic. 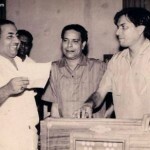 I had just finished listening to a few people tell me about his press conference, when I read a brief note from my good friend Rameshbhai Kurpad (simple sailor we all call him), that Joy Mukherjee had passed away. Renowned music director Ravi Shankar Sharma died on 7th March, 2012, at the age of 86 years. His music had remained immortal over the years. No other singer has sung in that many languages as Rafisahab has. His vocals blessed many languages nationally and internationally whether it was Konkani, Bhojpuri, Oriya, Punjabi, Bengali, Marathi, Sindhi, Kannada, Gujarati, Telugu, Maghi, Maithili and Assamese . He also recorded a few songs in foreign languages such as Persian, Spanish, Dutch, Creole and English. 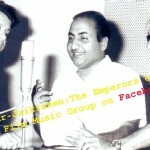 You are currently browsing the Rafians tribute to a true Maestro – Mohd Rafi weblog archives for March, 2012 .